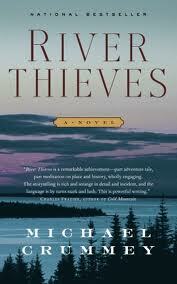 I read Michael Crummey’s more recent work, Galore (2012), last year and thoroughly enjoyed it, so when another group selected River Thieves, his first novel, for discussion I was delighted. white man, leaving her husband, her child and the Lake – under pressure of gunfire. This is the incident the epilogue refers to and it’s the incident around which the plot revolves. Finally getting into the main narrative, the characters are pretty simple. There’s John Peyton and his father, John Senior, along with Cassie who is their long-term housekeeper. Peyton and Senior are leaving on an expedition, but Senior is staying home this time and then it gets complicated because the story is told in a series of nested flashbacks told by different characters. Who goes where when, is a bit fuzzy for quite awhile. And so many of the early scenes are the same – voyaging out in the wilds, up the River Exploits, to hunt, fish, trap, chase Indians (for one reason or another) or just travel somewhere. So now comes the investigation – Part 2 – where the characters of Cassie, Mary, Buchan, Richmond, and Miller are introduced, along with Reilly and his Micmac wife, Annie Boss, there may be more. These men, from various backgrounds, feel plagued by the Red Indians who in turn feel cheated by them. The natives in this case were resolutely anti-English settlers and did what they could to drive them out. Cassie is a complex character unto herself. It wasn’t until about 1/3 to 1/2 way through that I got interested and then I started getting to really know the male characters and maintain an interest in them. Maybe it was because I was ill this week – I don’t know. It might be worth rereading at least the first 1/3. 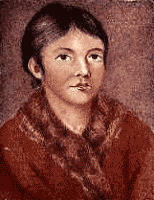 A teenage girl named Shawnadithit (also spelled Shanawdithit) was probably the last Beothuk. Starving and alone, Shawnadithit and two female relatives surrendered to the British. 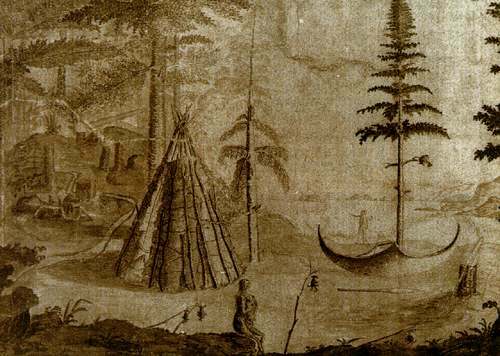 The other Beothuk women died, but Shawnadithit lived for six years as an English slave known as “Nancy,” drawing pictures and telling stories of her lost tribe. Shawnadithit’s aunt Demasduit, who died several years earlier, had a more tragic story. Demasduit had just given birth when the British raided her village, and her husband, the Red Indian chief, was killed trying to protect her from capture. Her baby was left behind, and by the time she learned enough English to explain this to the British, the infant had starved to death and Demasduit was fatally ill with tuberculosis. In the face of these hardships, the charm and gentle demeanor of Demasduit and Shawnadithit startled white Newfoundlanders, forcing them to rethink some of their attitudes towards ‘savages.’ Read more about Shawnadithit and Demasduit.